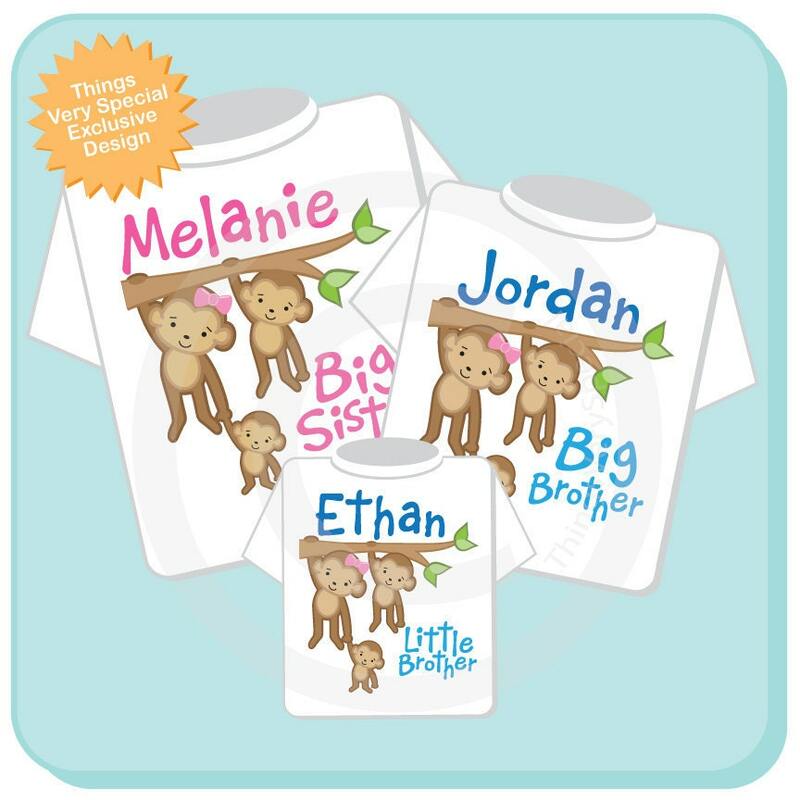 Super cute set of three shirts are Personalized with the combination of Big Sister, Big Brother, and Little Brother. If you need a different combination please contact me. Adorable shirts and shipped really fast!!! It was exactly as I asked and it came in very quickly. Perfect! Exactly what I wanted and it shipped so fast! Would definitely recommend and use again!